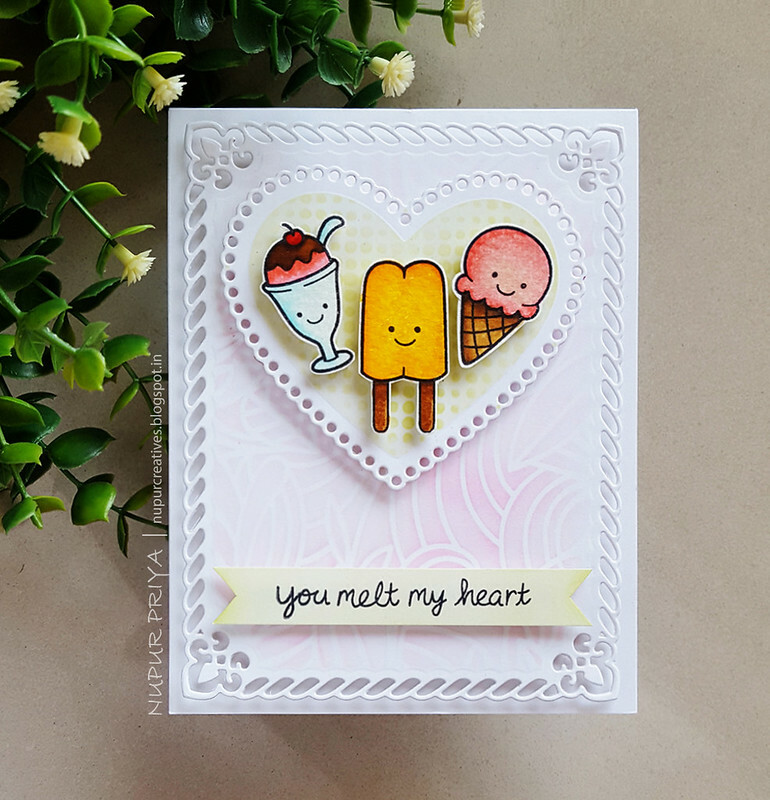 Those fun goodies are so sweet on your fun and adorable card! What a fun card! 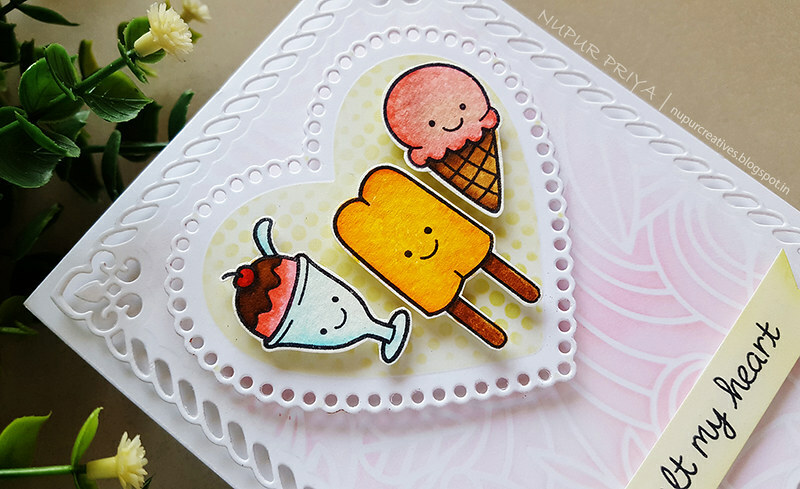 I love the soft stenciled backgrounds you created for these bright guys. I'm so glad to have you as part of the team Nupur! Glad to be a part of SL team !! !